Dakota Anzovino is described as: 27 years of age, white, 5'7", 160 lbs., short red hair, light facial hair and brown eyes. He has a tattoo on his left chest and a pierced left ear. On Saturday December 30, 2017 the Niagara Regional Police Service commenced an investigation into the welfare of a Niagara Falls man. He was last seen wearing a Black and Grey flannel type jacket. 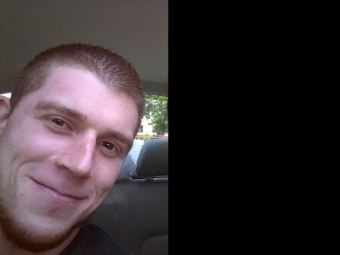 Dakota Anzovino was last seen in the Chippawa area in The City of Niagara Falls. The Niagara Regional Police Service and his family are concerned for his welfare. A picture of Dakota Anzovino has been attached to this media release. Please contact the Niagara Regional Police Service if you have any information.